It's Friday again!!!! We've had a very busy week here at Ready. Set. Read! Last weekend we went trick or treating. We've been playing with puzzles this week and building problem solving skills. On Wednesday, I posted on Understanding your Child's Reading Level. We even fit another pumpkin craft into our week. We used a leftover pumpkin cut out to make Cinderella's Pumpkin Carriage. 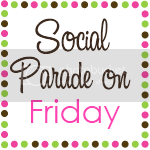 Now it's Friday and we're looking forward to an awesome weekend. Stop back tomorrow. I'm going to post a review of my new favorite book, Raising Confident Readers by Richard Gentry. The theme of that blog hop is to show a picture of my cute kids. I have 2 boys. Both are super! Love the way Batman waves at the camera but can't bother to LOOK at the camera! Take a look around. If you like what you see, I'd love to have you follow! Just leave a comment so I can come follow back. Have a great day! 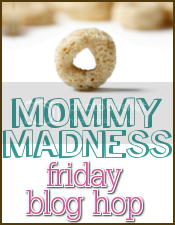 Thanks for participating in Mommy Madness! I'm a new follower and hope you'll follow back. I'm looking forward to reading your blog! Greetings! I'm visiting from SPF, and am now a follower! Thanks for stopping by. You definitely have cuties. Found and following through the hop. Love the super heroes!